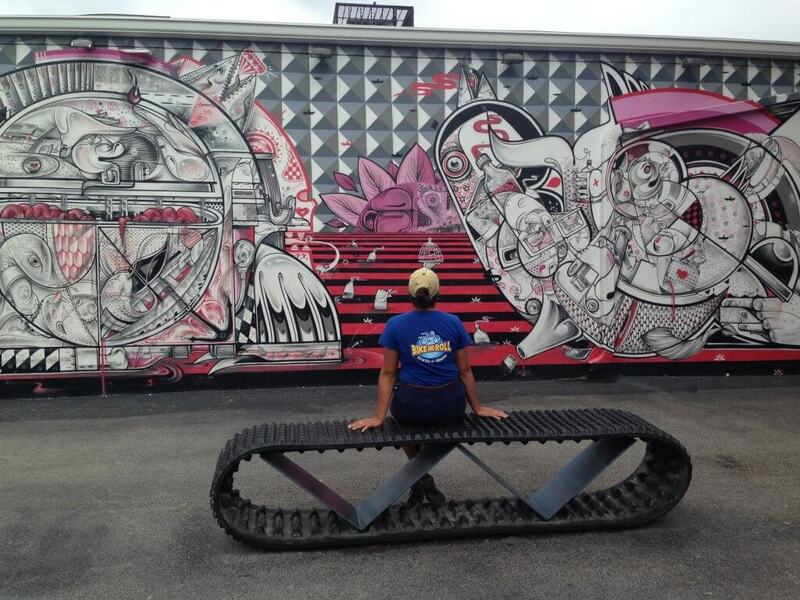 Depending on your involvement in the art world, you may or may not have heard of Art Basel. It’s arguably the largest arts festival in the country and it takes place the first week of December each year. It is replete with events, musical performances, outdoor installations and gallery auctions galore. Art Basel is based on an art convention based out of Basel, Switzerland and is responsible for a week of booked hotel rooms and happy cabbies accommodating the masses that fly in for the event, not to mention the hundreds of different international artists that show up for it as well! Miami Beach — known for its soft sands and sunny views, a barrier island at origin is one of the most desirable destinations of South Florida. As such, one can see the need for all the bridges from the mainland ! 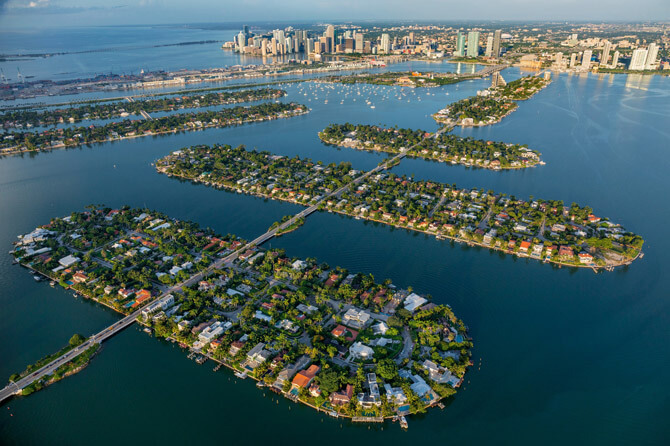 In total there are about 5 bridges which connect mainland Miami Dade County to Miami Beach and its neighboring towns (like North Miami Beach, Bal Harbor, Surfside…). As a cyclist there are many wants to bike by the views and our favorite causeway for this is the Venetian Causeway! A little history on the Venetian Causeway which was originally built in 1913. Back then though, it was originally called Collins Bridge — for one of the founders John Collins. Creating this bridge raised the population of Miami Beach about 400% after it’s construction. The development was unprecedented and uniquely fast considering the times. The islands which maintain the causeway – the Venetian Islands – are composed of six islands, all but one of which were man-made just to hold the causeway! The causeway’s bicycle path is one of the best maintained in the area and although a cyclist these days cannot travel all the way across (due to construction) it still makes for a great ride – especially at dusk and dawn! After biking it many a time, locals will agree that the beauty in the post-card above still stands true today. Florida is relatively a young place! It took foreign powers much longer to settle this land due to its vast wilderness and tribal peoples. When it was such that much of the wilderness was cleared away and the railroads were established all the way down to Key West, it was much easier for people to settle the land. In October 1915, a man by the name of George Merrick was appointed to aid in the building of roads in South Florida, including major roads that later would connect to his most famous endeavor – a well-planned community named Coral Gables in Miami Dade county (one of the first planned communities in the country, in fact). Famous roads like South Dixie Highway (which is also known as US-1 and is the longest North to South road in the country), Tamiami Trail (which connects across the Everglades) among others. At only 6 miles away from our location at Bayside Marketplace, Coral Gables is definitely worth a ride over if you’re visiting Miami. Miami Beach, a baby city of only 100 years of age (which we celebrated in quite a big way earlier this year!) is home to three different historical districts! The Art Deco Architectural District, of which we have all heard and which is probably the most famous. There’s also the SoFi district — that’s South of Fifth, and lastly and for the sake of this post, most importantly: the Espanola Way historical district. So, when Miami Beach got its start, it was at first a coconut palm plantation that also boasted a few other fruits to its lineup. Proving unsuccessful, the area quickly converted to a line of hotels and high-end homes, becoming in effect the first resort-style town in the country. People were enticed by the wonderful weather and the stunning views; not to mention the fact that it was basically virgin land – as easy to mold as possible without the influence of too many land-owner or any anti-trust busting by the government. Much of the original structures in the city borrowed a lot from European styles, in particular the Mediterranean – thus all the red clay roofs, arched windows, wrought iron. This style, known as Mediterranean Revival, is what we see most of in the Espanola Way District. At its conception, Espanola way, the four square blocks from 14th to 15th St, in between Washington Ave and Pennsylvania Ave, was meant to be a spot for those looking for the nightlife — artists and dancers crowded the clubs here. Al Capone even has a rich history of gambling and especially of his prostitution ring in the area. Thrive as it did for about 15 years, the depression did not do the district any favors. It fell into a deep decline and became quite crime-ridden until our Art Deco savior Barbara Capitman protested it be protected and designated a historical sight. 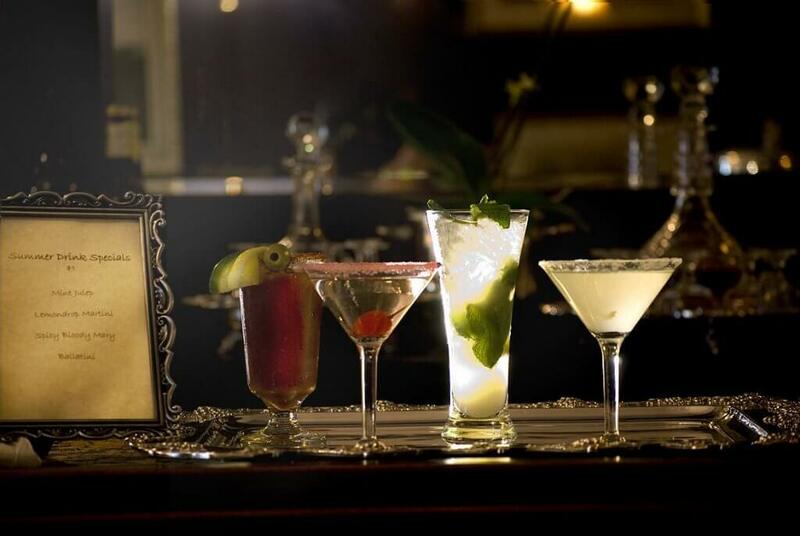 In the last 15 years, the area has been home to international cuisine – from Gloria Estefan’s cuban cuisine chain Havana 1957, to Mexican food, Italian, Spanish, French Moroccan. It is definitely worth a visit if you’re in Miami! Be sure to arrive as the sun is setting and the string lights on the palms turn on! The name “Coral Castle” really couldn’t be more exemplary of South Florida though its history dates back to a Latvian man in the early 20th century by the name of Edward Leedskalnin. Some call it the South Floridian modern day Taj Mahal, but Edward Leedskalnin called it the Rock Gate Park; built in the country’s southernmost city (that is not an island), Coral Castle was single-handedly constructed by Leedskalnin as an homage to his lost love Agnes, who stood him up at the altar and only day later left to America. Rumor has it that although Agness (whose real name was Hermine) knew about the castle, she never did go see it, much to Edward’s despair. Though originally built in Florida City in 1923, it took Edward three years to move the structure to Homestead, Fl (and about 30 total to construct it), for privacy measures. He worked on the house till he died in 1951 and lived in it while he also charged 10 cents a piece for entrance to tour the grounds — and rightly so! The structure features an accurate sundial, several tables (some heart-shaped), fountains, chairs, large multi-ton walls and also a well. It has baffled scientists for many years because of its high-end physical engineering; all of this as a result of the love ofa small man with a fourth grade education. 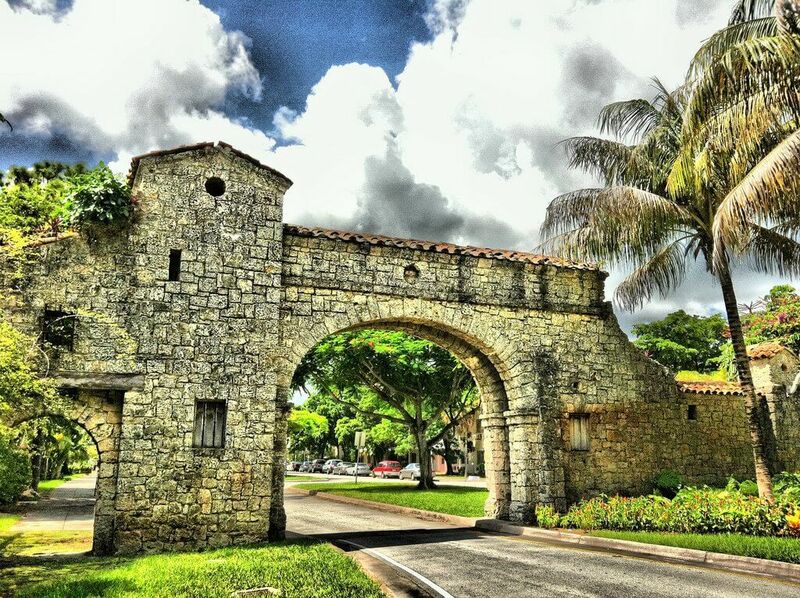 Located in Palmetto Bay, Fl (in the southern edges of Miami Dade County), one will find a surprising addition to the National Register of Historic Places. That’s right! 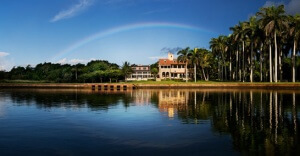 In a city that is only about 121 years old, stands the Charles Deering Estate which was built by the Richmond family which opened it as an Inn. In 1901, it was known as the southern-most hostelry in the country. One of the earliest registers of the inn included names such as Henry Flagler and James Ingrahm, both of whom went on to pave the way for future settlers in South Florida – Henry Flager especially, known as he is for having built the Gold Coast Railroad down the length of the state at the end of the 19th century. Charles Deering bought the cottage and moved into it in 1922. As per the attraction’s website, it is a 444-acre “environment, archaeological, and historic preserve” which makes up the largest virgin coastal hardwood hammock in the continental US. The estate also includes what is perhaps the oldest burial mound in the country as well, with about 12-18 Native American burials; it’s been disturbed repeatedly in the last century or so but luckily the State of Florida acquired it and added it to the Charles Deering Estate Park. All-in-all, a totally surprising – and refreshing – taste of history in southern Florida that most tourists would be delighted and encouraged to check out! 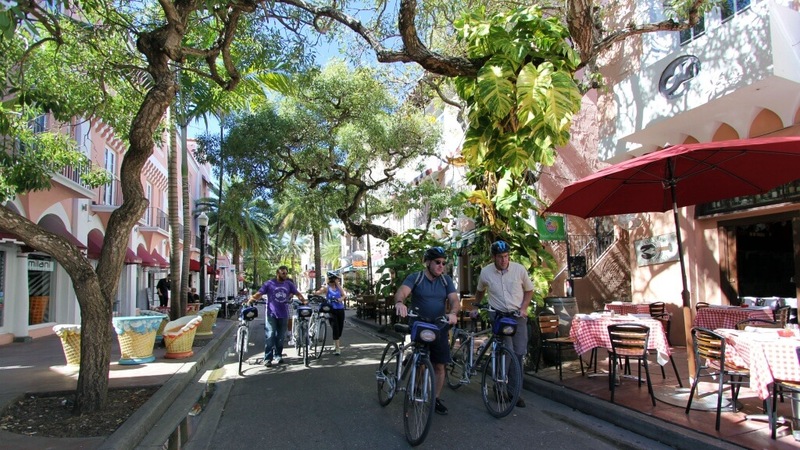 In Miami, even if you’re a regular cyclist you may not be aware of all the different bike paths and trails available. 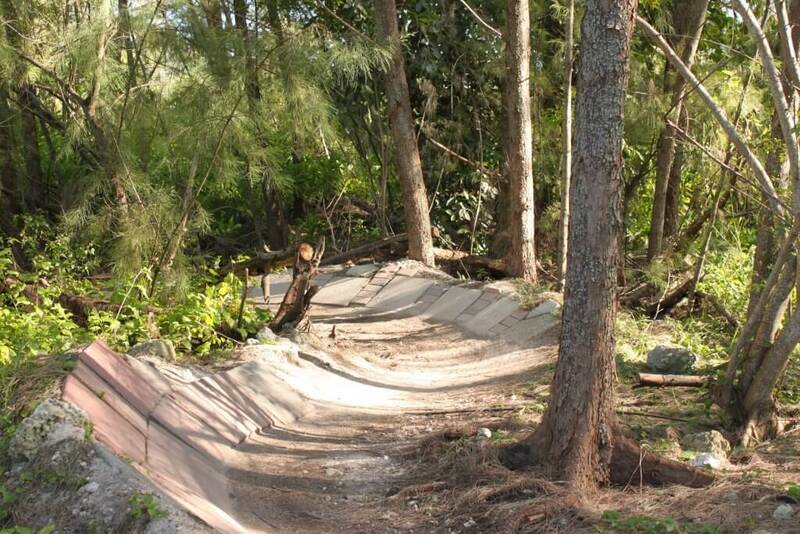 This week we’d like to focus on the mountain bike trail one will find on Virginia Key! Virginia Key was, for a very long time, uninhabited but in the early 20th century started to be cultivated as an idyllic beach and park landscape (in fact, it still is today!) Most of the city of Miami really gained momentum in the roaring ’20s, only 25 or so years after the establishment of the city of Miami. The park is open 7 days a week and offers three different paths based on skill level. The best part is that there’s so much relaxing to do in this area, all within biking distance. If you take the recently renovated bike path on the Rickenbacker Causeway, just a few meters away is Hobie Beach – the only dog beach in the area! As well as Bill Baggs State Park which is located at the very southernmost point of Key Biscayne – the island adjacent to Virginia Key and which is home to the oldest structure in Florida – the Cape Florida Lighthouse. With the temperature’s rising, it’s only a matter of time till we’re all scrambling for outdoor activities.